The Swift Sport’s new automatic is much-improved, but the manual edition is still the better deal. WITHOUT meaning to sound all phobic about this, but …. they’re everywhere, they’re everywhere! No, not alien spacecraft or bigfoot. Suzuki Swifts. More specifically, yellow Suzuki Swift Sports. Fat chance for thinking myself a bit special for scoring the test car here in the hero hue, Champion Yellow. Turns out everybody who has truly bought into this model has had the same idea of taking it with the one colour that is purely for the rocketship edition. The doppelganger effect started at the end of our driveway. Save for being an auto, my nearest neighbour’s car was a dead-ringer for the $28,500 manual one I had for a week. No respite beyond the sub-division, either. Not a day went by without seeing at least half a dozen of these things zinging about on a daily basis. All this in a town of just 40,000 souls. What are the odds? Well, clearly, they’re pretty good and all the more loaded because, as you probably know, yellow – albeit in a slightly different shade – was the optimal Sport-only colour in the old range too. Seems that, once Suzuki settles into an idea, it just can’t shake it, right? Well, it’s a plan that goes further than just sticking with a same-but-different colour. The Swift itself has been the highest selling supermini for nine years in a row and continues to be New Zealand's most popular vehicle with private purchasers, while the Sport has almost always stood out as the most sought-after single derivative. This latest Sport, despite having moved to a new platform and being the first with a turbocharged engine, is still a different-yet-the-same kind of car. 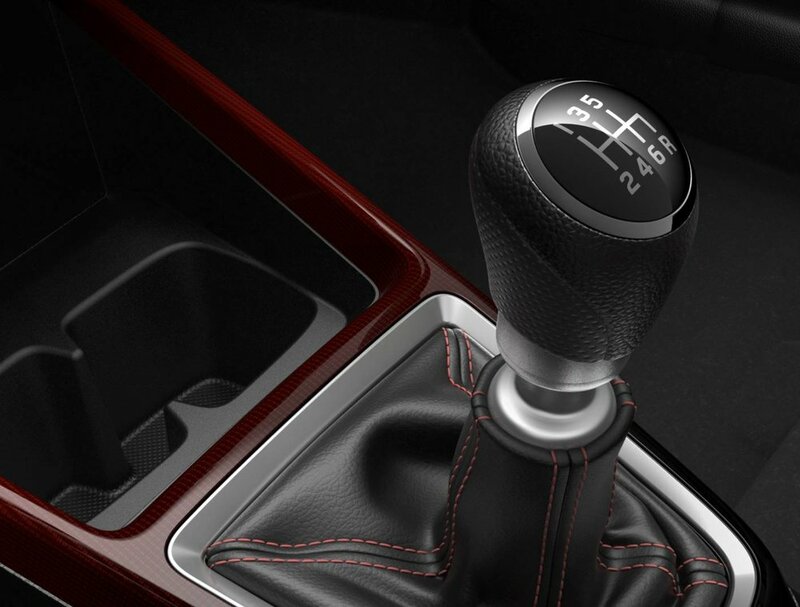 This much was established from testing this model in its automatic transmission format. Now comes the turn of the manual, which isn’t quite same-again as might be expected, insofar that it’s a bit more sassy, still. You knew that, too. Plenty of people – okay, mainly motoring writers – have tendency to swear blind about three-pedal set-ups being superior to two-ups, not least in anything performance-themed. That was certainly the case with the previous Sport, if mainly because that gen ran about the worst kind slushbox possible for a wee zipster. A constantly variable transmission. Fortunately, Suzuki saw the error of its ways next time around and have remedied accordingly by provisioning the Sport with a six-speed automatic. Which actually does a pretty decent job of tapping into the engine’s spirited temperament, all things considered. This might not sway buying trends – with more than half of all Sports having always been bought in auto form, you sense most customers have always preferred convenience ahead of any performance considerations (more’s the pity). Yet, to me, the transmission pep-up at least shows that someone in this company cares about doing the right thing. So where does that leave the manual? Still the better choice, if by a smidge and depending on circumstance. The auto is certainly a touch more convenient around town, and even when driving at even pace on the open road. Yet take the Sport to the environment it enjoys most of all – and I’d suggest that has to be a challenging secondary route – and the manual start to earn its keep, not simply through cementing a closer connection with the car’s overall dynamic traits but also because it ultimately provides a better pathway to extracting all that the new engine has to give. In saying that, the approach is rather different than previously, simply because the powerplant is, too. The previous incumbent was a high-revving thing that had to be utterly thrashed; you just needed to run right to the redline in every gear to get the best from it. The replacement 1.4-litre turbo four, which Suzuki touts as Boosterjet, has more power, making 103kW, and significantly more torque, with 230N, so is naturally straight away stronger. But another key change is how it delivers its oomph; most crucially, that 70Nm torque boost – a whopping 44 percent lift - is delivered from not much more than idle, whereas the old car's 160Nm didn’t awaken until a giddier 4400rpm. This means the engine is so strong across the range it’ll sustain lazier actions with a gear stick that, while meted a short and sweet shift distance, is a bit rubbery in feel. You can soft foot it and still feel the urge; an approach that just hasn’t worked previously with this car. Alternately, you can also give it heaps and it’ll respond with more enthusiasm still. The latter approach is still more involving, though it brings challenge in that you have to get a feel for changing just as it is running into the rev-limiter in the lower gears. That requires a bit of technique as the cut-out actually kicks in at 6000rpm when the tacho is redlined at 6200. I found that upchanging at around 4500rpm revs was still rewarding as it’s still right in the meat of the torque delivery. With a turbo pumping up the muscle, you might imagine on-paper performance would become far more incendiary. For sure, the low and mid-range punch is tangibly greater, but it hasn't leapt by as much as you might think, with the 8.1 seconds for 0-100kmh claimed being just sixth tenths better than the old car managed. Top speed is up, but not hugely. It’ll purportedly get to 210kmh flat out, a 15kmh improvement. What the turbo does, however, is provide far more muscularity across the rev range; it’s no longer such a peaky engine. Admittedly, the pull was more noticeable between fourth and fifth than fifth to sixth. But on a winding road you can drive it energetically in just third and fourth. The torque will mask errors and dig you out of low-revs performance holes. The engine’s energetic yet more effortless attitude synchs nicely with the car’s overall dynamic character, which though still feisty is less outright feral. Don’t worry, there’s plenty of speed and agility, particularly when driving downhill or in a run of tighter bends, and the bigger standard brakes and 17-inch alloys with 45-Series tyres aren’t just there to look good in photos. Yet, as nippy as it is, you find it won’t easily emulate the greatest GTis at extremis behaviour. Playful only goes so far. There’s none of the usual willingness to lift an inside rear wheel in exuberant cornering, for instance. The massive improvement in overall refinement over the previous-generation car almost goes too far. It’s good that a lot less mechanical, engine and wind noise reaches into the better-insulated cabin. Yet, in addition to making the engine quieter, they’ve also toned down the exhaust note, to the point where it just doesn’t ever sound as fruity as the badging requires. Indeed, the loudest aspect of this car is the exterior styling, which is really well acquitted. The interior is also pretty good, but not quite there. The racy instruments, the flat-bottomed steering wheel, the nicely bolstered sports seats and the driving position all conform to the performance mood, but the plasticky trim and the lack of digital speedo – surely a must-have got any performance model these days – are annoyances that some rival brands would have taken care of. The usual meticulous approach you expect from Japan also seems a bit lacking with the carbon fibre look trim slash across the dash being red-tinged regardless of the exterior colour. You’d have to think colour-coding would make for a more appealing outcome. All stuff to think about for the inevitable mid-life facelift. Not that I’m trying to humble this wee giant-slayer. Far from it. The Swift Sport in its third generation is, overall, a positive advancement. And, yes, despite the massive swing away from manual gearboxes (you lazy people), that’s the transmission I’d go for, saving $1490 in the process. However, it does occur to me that the Sport, as is, could stand having an evil twin. The chassis could stand for more horsepower and, in all likelihood, the engine could be tweaked to provide more. 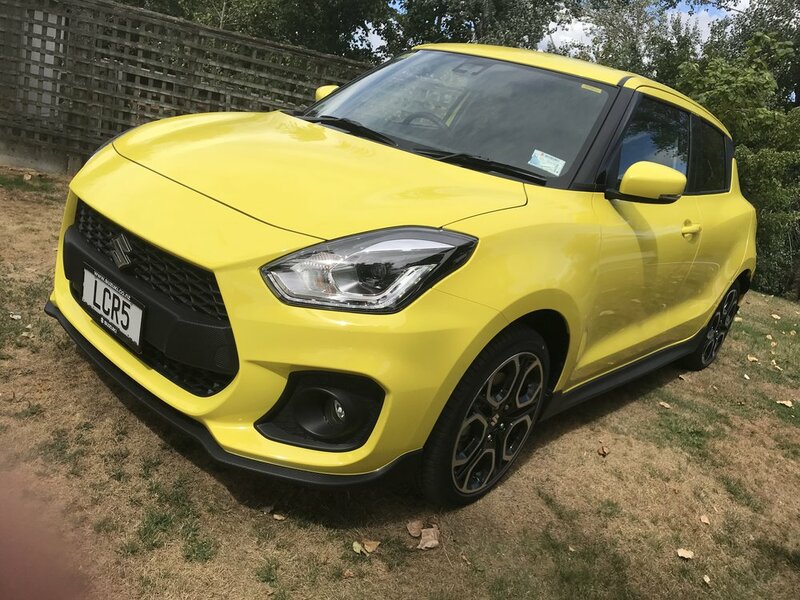 A slightly wider track, firmer springs, definitely a snarlier exhaust … well, then Suzuki could have the ideal set-up of a this Sport for the regular clientele and a hard-edged edition – let’s call it the Sport Plus – for the all-out enthusiast. Think about it, Suzuki.